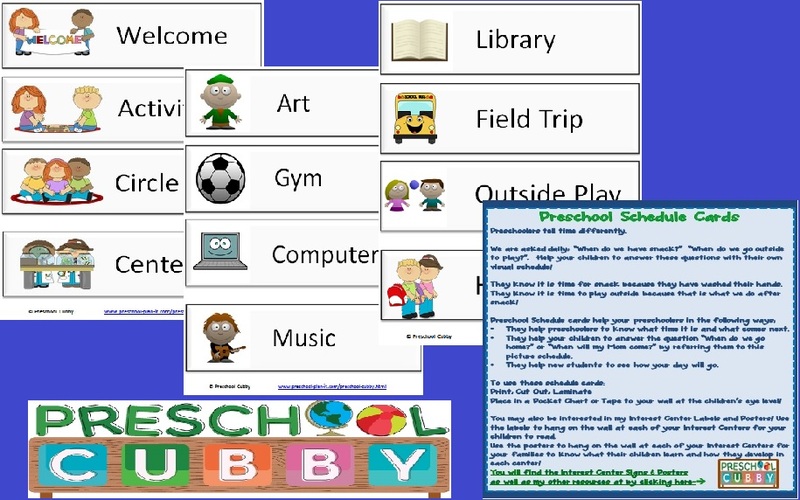 21 digital cards for your Preschool Classroom Schedule! 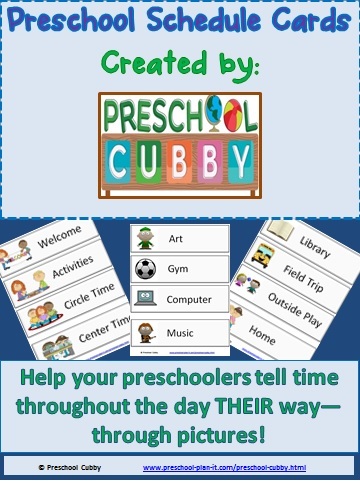 Help your preschoolers "tell time" on their own! Do you want both this packet AND my Preschool Interest Center Posters & Labels Cards? They are available in a discounted bundle!